Later today, Australia takes on the Netherlands in the second game of the group for each of the two teams. In the first round of matches, we saw Australia lose 3-1 to Chile, while the Netherlands kicked Spain’s derriere in spectacular fashion with a 5-1 win. Embarrassing stuff for the Spaniards, but one hell of a start for the Dutch. We’ll be watching to see if the winning streak can continue for the Dutch, but in the meantime we will play our own game—the World Cup of Cars: Australia vs. Netherlands. In our first round, Australia beat Chile, and the Netherlands lost to Spain—so, pretty much the exact opposite of what happened in real life. The Aussies are playing with a homegrown vehicle this round. While automakers appear to be pulling out of Australia left, right, and center, for now we can at least say this vehicle is still made in the land down under. 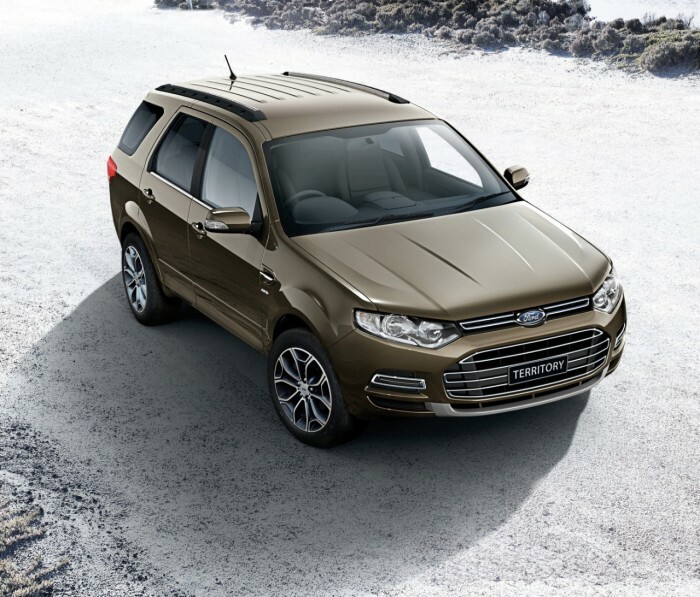 The Ford Territory is, for now, a two- or three-row crossover exclusive to Australia, New Zealand, South Africa, and Thailand. Available with rear-wheel drive or all-wheel drive, petrol or diesel, and a choice of three trim levels, the Territory has proven extremely popular on Australian roads. The Territory’s gasoline engine is good for 261hp and 288 lb·ft of torque. While pretty unremarkable, the Territory’s spacious interior and no-nonsense exterior make for a comfortable cross-country road trip for drivers who have a whole lotta country to cover. However, the Territory will cease to exist come October 2016 when Ford removes itself completely from Australia. Standing proud on the Dutch side is the Volvo 300 Series. Made in the Netherlands, this Volvo was produced between 1976 and 1991 to the tune of over 1.1 million units. Originally sold only as a hatchback, Volvo soon expanded the lineup to include a sedan—called a Saloon in Europe. Unusually, the 300 Series’ gearbox was located over the rear axle, which helped the car’s weight distribution, and therefore its performance. Back in the day, Volvo included some impressive standard safety features on its models, including the 300 Series, which made the automaker somewhat of a pioneer in that these features later became standard on all vehicles. Today, the 300 Series remains popular thanks to its affordability and DIY-friendly reputation. So now onto the most important question of the day. Who will be the winner—the Ford Territory or the Volvo 300 Series? Since neither vehicle is particularly nice to look at, we have to give the edge to the Volvo, which is sure to keep young drivers happy and debt-free as they drive their used models around for years to come. Congratulations, Netherlands—let’s see if you can keep it up when you play Australia for real! Watch Australia vs. Netherlands today at 12 noon on ESPN.